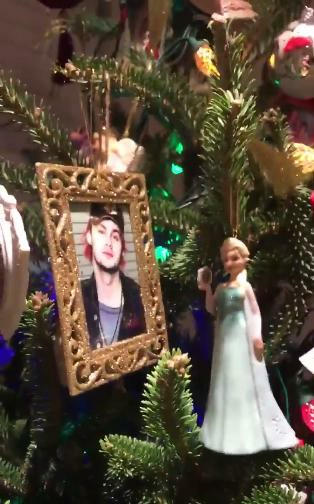 WATCH: 5SOS Fan Makes Michael Xmas Ornament...But Mom HATES It! One 5SOS fan went the extra mile while decorating this Christmas tree, putting together a shiny ornament in tribute to everyone's favourite bright-haired guitarist Michael Clifford. Unfortunately for the fan, the brilliantly named Twitter user "If 5SOS Had Kids", her Mom was not best impressed by the new addition to the family tree. Fortunately Mr Clifford clearly saw the funny side. Happy Xmas 5SOS fans - we hope you find the right tree ornaments for you and your Mom!